Have you ever thought it would be great to have carryable source of light? Well, now you can make one! 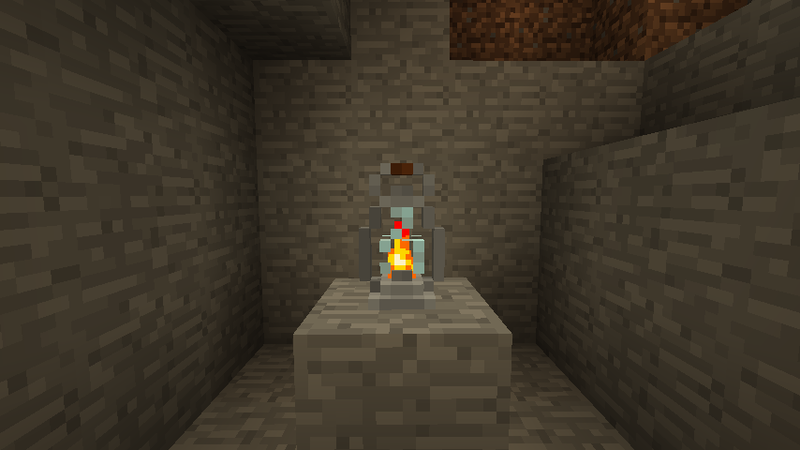 Lantern was originally made by me as part of CaveGen mod, but I decided to make it as separate mod for those who would like to have Lantern but don't like my CaveGen mod. 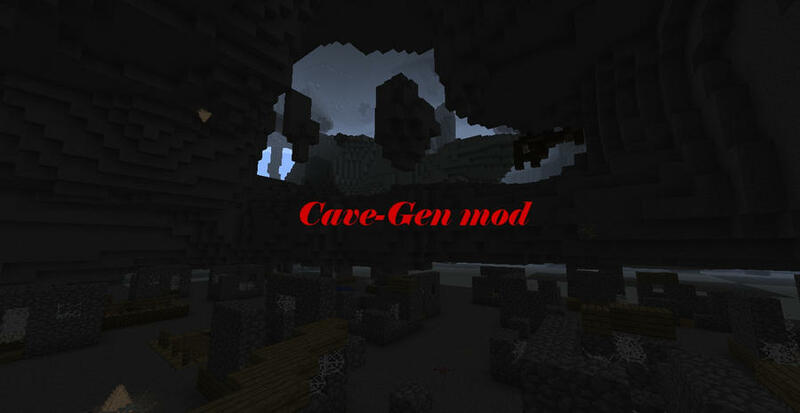 Note: This mod also works as plugin for my CaveGen mod. 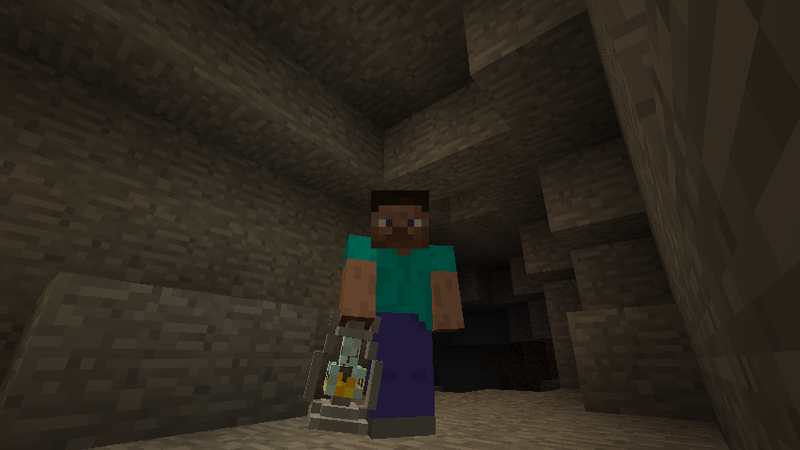 That means you can use it alone, but when you install it with CaveGen, you will be able to use Glow shard from CaveGen mod to create Lantern too. If you fly with lantern equipped the light will not update as fast as you travel, resulting in occasional spots of light in your trail. These will disappear if you walk over them or you load your world again. They won't cause any trouble. Recipe for crafting Lantern. 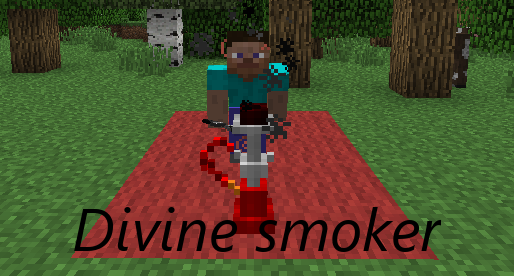 Note: You can change the glowstone dust into other item in your config file. But if you are playing on server, only server recipe will work. You can carry the lantern around. Or place it on ground/hang it from ceiling (it requires solid block under or over itself). 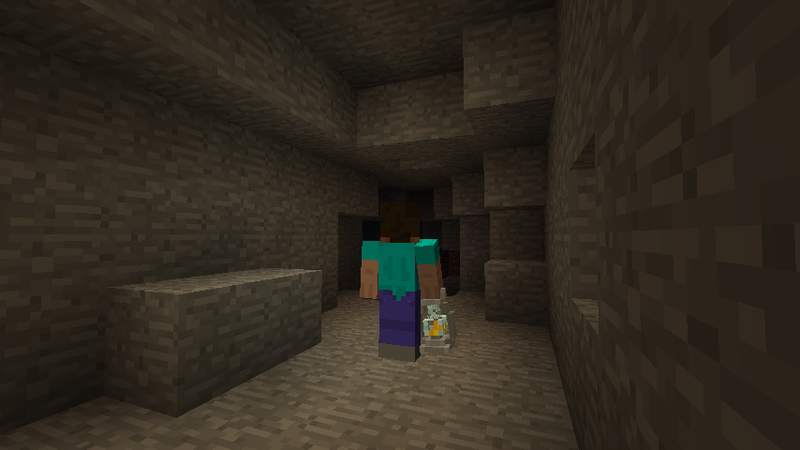 The Lantern will be rotated towards you when you place it down. Detail shot of the new lantern model. To install Lantern mod, go to C:/Users/Yourusername/AppData/Roming/.minecraft/mods/ and put the whole archive(do not unzip it!) into this folder. 1.4 - Complete rewrite of the lighting algorithm - faster, better, easier to maintain , fixed bug that prevented this mod from working on servers, fixed bug that could potentially cause problems with tile entities on servers, other players can now see light emitted by your lantern! 1.3 - Added new option to config file. If set to 1, lantern will emit light when in player's hotbar. If set to 0, lantern will emit light only when held(Default is 0). Some code improvements. 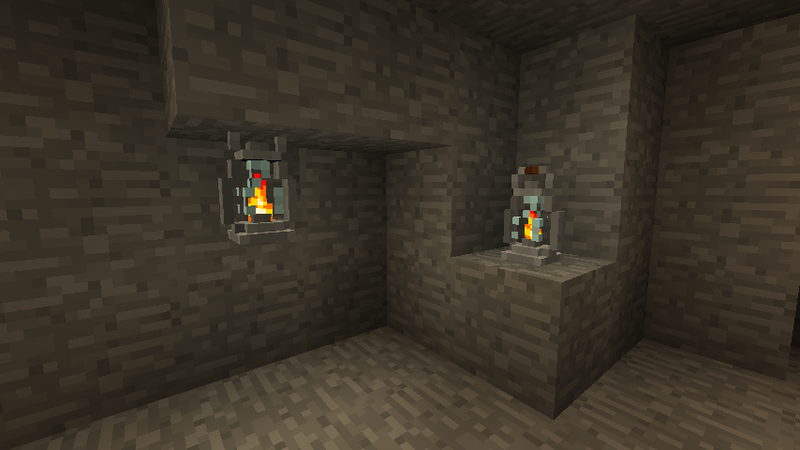 1.1 - Custom model for lantern. When the lantern is placed on top of the block, the lantern sits on the block. When the lantern is placed under the block, the lantern will hang from there. The lantern will be rotated towards you when you place it. This document is Copyright of -Reaper- and is the intellectual property of the author. It may be not be reproduced under any circumstances except for personal, private use as long as it remains in its unaltered, unedited form. It may not be placed on any web site or otherwise distributed publicly without advance written permission. 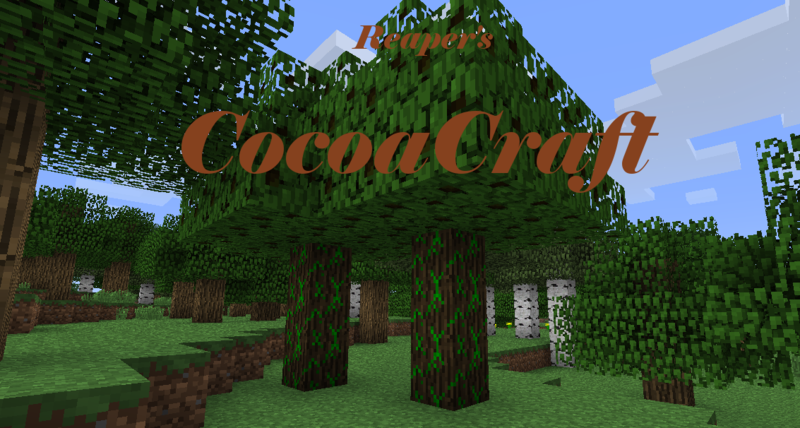 Use of this mod on any other website or as a part of any public display is strictly prohibited, and a violation of copyright. Can you please give me the code that makes items in your hand glow? I would like to make something that does that, but I don't know how. BTW, nice job! Very nice man. Here's some random ideas for your mod! Join The MineCrates Family Now!! Oh, man, this is awesome! I mean, Dynamic Lights does the same thing, but it adds an interesting game element since you have to craft and earn a portable light. EDIT: I got a new mic if you make a new mod and want a video! if that video in the op is 1.4.6, is there a 1.4.6 download for this mod? if so could i get a link please? Do simple torches have limited life now ? No. As stated in the main post, this mod only adds lantern. Would it be at all possible to include the version number in the file name? A bunch of the mods I use don't do that and it gets a little irritating to keep looking at the mcmod.info for the version number (if it even exists). Other than that, this mod has found a "permanent" spot on my mod loadout. Now I can devote my coal/charcoal to other things. Thanks for this! Thanks for the review! Btw. your world in the video looks stunning!